And so we stroll to Chadpidan Bay, not knowing where it leads us. The breathtaking sights more than make up for our regrets of not bringing water. 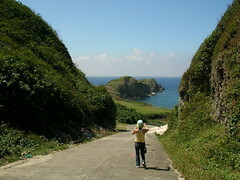 The weather is on the hot side although there are occasional breezes from the sea.